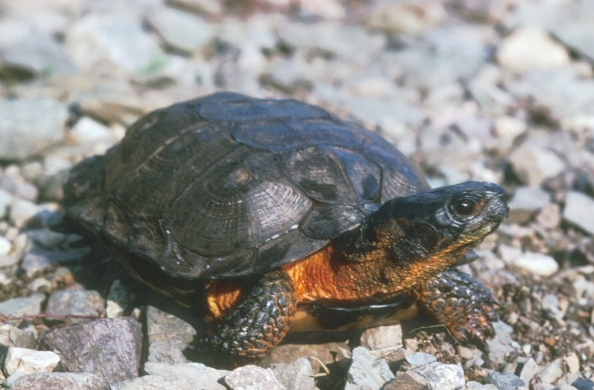 There may be 2,500 Wood Turtles widely dispersed across river habitats in Nova Scotia, but information suggests that this species is declining. Like other turtles, this species is of concern because even low mortality rates of adults can have serious population impacts. 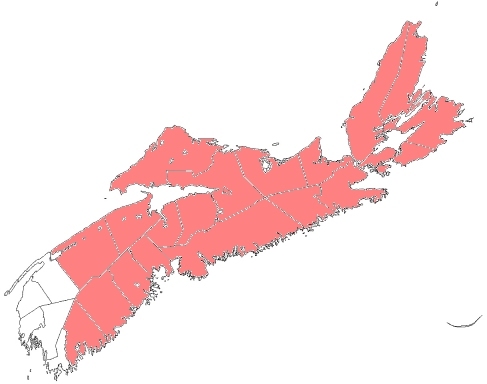 Threats to wood turtles in Nova Scotia include alteration and destruction of river and stream habitats and translocations of turtles by people.